In the past week we have been tremendously proud of our employees. Many have gone the extra mile by getting involved in the communities we serve, and we wanted to share some community feedback. Once again, Harold Elliott (Office Manager, White River Junction) brought his talents to the Upper Valley community. 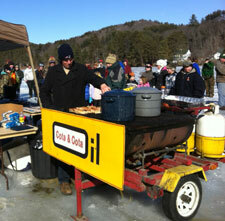 On Saturday, January 28, 2012, Harold volunteered at the 11th Annual Youth Ice Fishing Derby located at Dewey Pond in Quechee. There were around 50 participants ages 14 and under. Thirty fish were caught, including a 31 inch northern pike, a 21 inch large mouth bass and a 15 inch crappie. Prizes were given for the longest fish, shortest fish, and greatest total length of all fish caught by one participant. Harold manned the Cota grill cooking hotdogs and chili. He also assisted on the ice measuring fish. Cota & Cota would like to thank Harold for his community service. When Bill Otis found out there would be no 7th grade softball team this year due to lack of funding, he stepped up to the plate. Even though Bill is already coaching 3rd and 4th grade baseball, and 3rd grade softball, he volunteered his time, without hesitation, to make sure the 7th graders had a team as well. 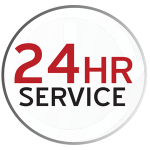 Bill – we are very proud of your efforts!